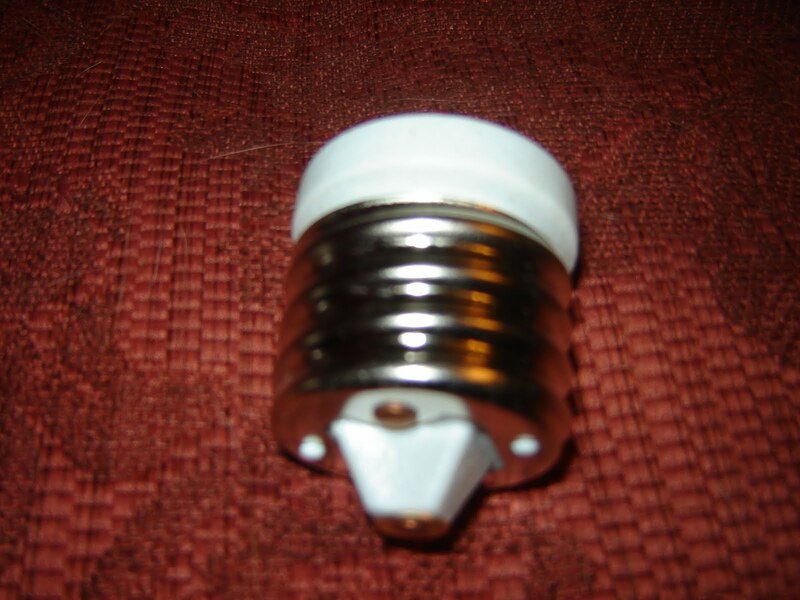 I found this retro looking up lighter, hardwood with a milk glass shade and a broken plug. I asked one of my electricians to put a new plug on as I have always been wary of electricity after being burnt by some faulty wiring some years ago. 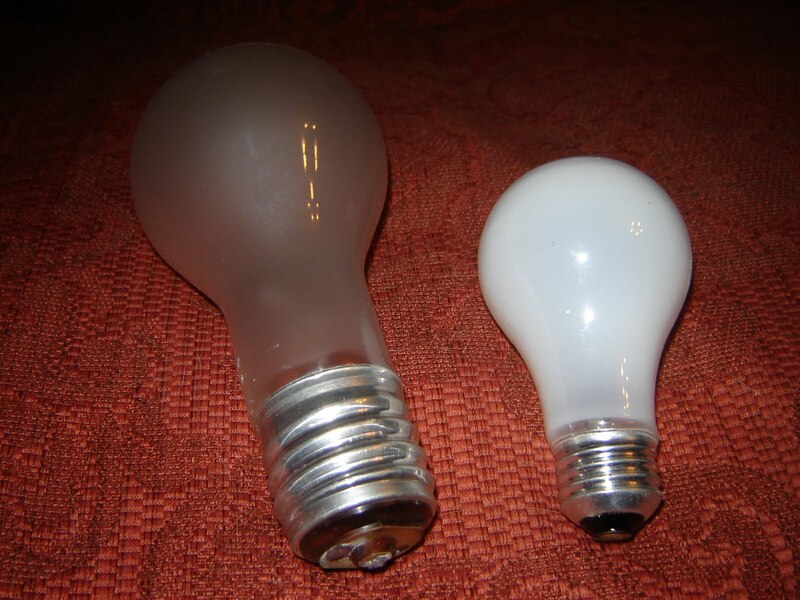 Once the new plug was on and working I wanted to clean it up, imagine my surprise when I removed the shade to find this enormous light bulb -I had never seen anything so big, and it was 300 watt! 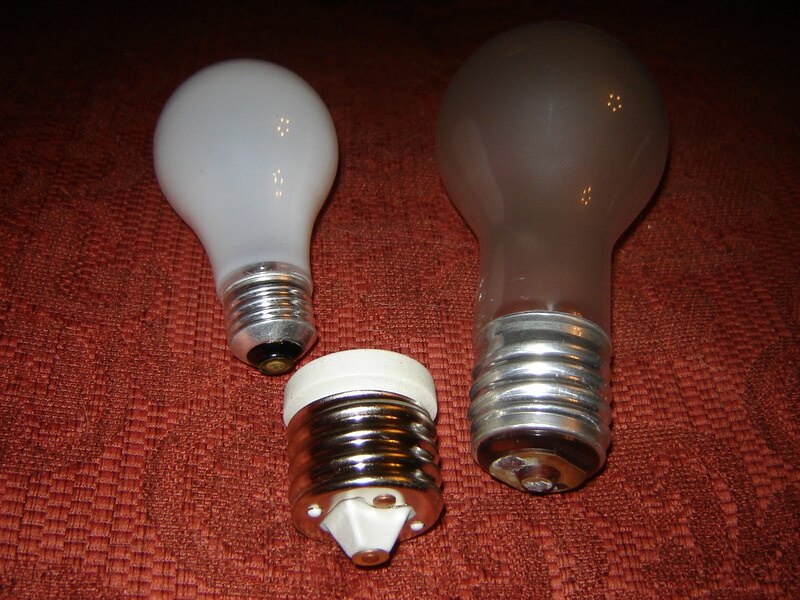 I showed the electricians and John said he had not seen one for at least 40 years but said that there was a converter that would allow me to use a smaller light bulb, I just had to find one. I did at my local Home Hardware, they had one although even they did not realize what it was for. 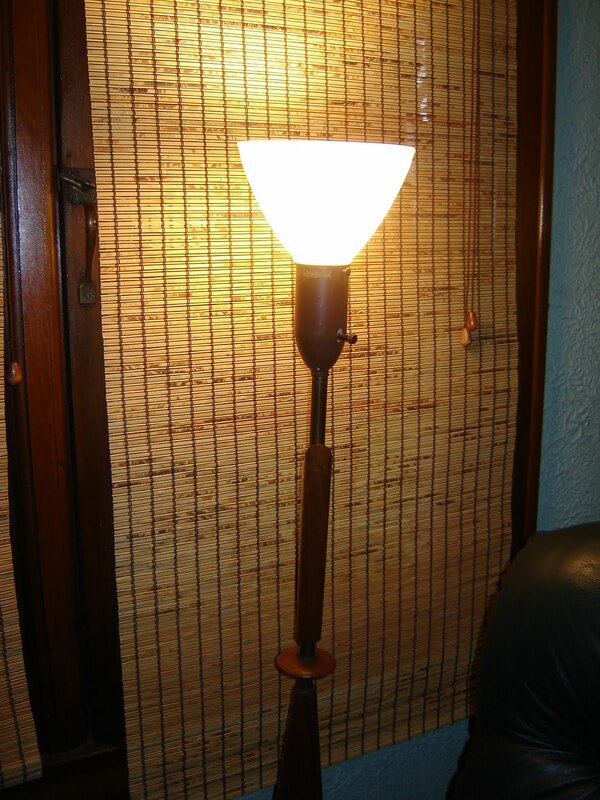 Now I am able to use the lamp.